San Antonio – Low-cost carrier, Frontier Airlines is continuing its commitment to make flying to and from San Antonio more affordable by adding nine new routes. With today’s announcement, Frontier will offer more nonstop destinations from San Antonio International Airport than any other airline. On eight of the new routes Frontier will offer the only non-stop flights. To celebrate the new service, special introductory fares are now available for as low as $29* each way at FlyFrontier.com. Frontier flies one the youngest fleets in the industry consisting of nearly 80 Airbus A320 Family of jet aircraft. With nearly 200 more new aircraft on order, Frontier will continue to grow and modernize its fleet to deliver on the mission to provide affordable travel across America. By 2026, the company will be in a position to deliver Low Fares Done Right to more than 50 million passengers a year. Frontier’s young fleet also ensures that the company will continue to keep fares low and that customers will enjoy a pleasant and reliable experience flying with the airline. 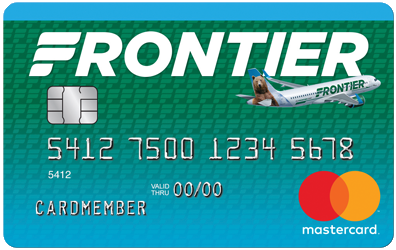 Frontier is focused on offering customers real choice and the ability to customize their travel to their needs and budget. For example, customers can purchase travel options like bags and seat selections either a la carte or in one low-priced bundle called the WORKSsm. The Works bundle is considered one of the best values in the industry and offers customers full refundability, a carry-on bag, a checked bag, the best available seat (including exit rows and Stretch seating), waived change fees and priority boarding. F9 1045 Depart SAT: 7:30 a.m. Arrive ABQ: 8:21 a.m.
F9 1044 Depart ABQ: 9:06 a.m. Arrive SAT: 11:45 a.m.
F9 1586 Depart SAT: 3:25 p.m. Arrive CLE: 7:31 p.m.
F9 1587 Depart CLE: 8:16 p.m. Arrive SAT: 10:21 p.m.
F9 826 Depart SAT: 10:19 a.m. Arrive JAX: 1:53 p.m.
F9 827 Depart JAX: 7:50 a.m. Arrive SAT: 9:29 a.m.
F9 1844 Depart SAT: 7 a.m. Arrive MEM: 8:57 a.m.
F9 1843 Depart MEM: 9:42 a.m. Arrive SAT: 1:53 p.m.
F9 469 Depart SAT: 12:30 p.m. Arrive OKC: 1:49 p.m.
F9 468 Depart OKC: 1:15 p.m. Arrive SAT: 2:40 p.m.
F9 618 Depart SAT: 7 a.m. Arrive OMA: 9:15 a.m.
F9 619 Depart OMA: 10:00 a.m. Arrive SAT: 12:23 p.m.
F9 1532 Depart SAT: 3:35 p.m. Arrive CMH: 5:22 p.m.
F9 1533 Depart CMH: 8:22 p.m. Arrive SAT: 10:24 p.m.
F9 1106 Depart SAT: 3:31 p.m. Arrive CLT: 7:30 p.m.
F9 1107 Depart CLT: 8:15 p.m. Arrive SAT: 10:11 p.m.
F9 637 Depart SAT: 1:08 p.m. Arrive TUL: 2:33 p.m.
F9 634 Depart TUL: 1:06 p.m. Arrive SAT: 2:46 p.m.
Travel between San Antonio and Cleveland is valid on Mondays. Travel between San Antonio and Memphis is valid on Mondays. Travel between San Antonio and Oklahoma City is valid on Wednesday and Saturdays.